The 30th Galway Film Fleadh came to a close last night (Sunday July 15 2018) with two projects supported by Northern Ireland Screen winning top awards at the annual awards ceremony. Feature film The Dig, produced by Out of Orbit and directed by Ryan and Andrew Tohill, was awarded Best Irish Feature. The screenplay, written by Belfast native Stuart Drennan, was developed through Northern Ireland Screen’s New Talent Focus scheme with Lottery funding from the Arts Council of Northern Ireland. The Dig follows the story of a murderer who returns home to assist the victim’s father find closure. The film stars Moe Dunford (Patrick’s Day, Vikings), Emily Taaffe (Beast, Paula), Francis Magee (Jimmy’s Hall, Rogue One) and Lorcan Cranitch (The Legend of Longwood, Love, Rosie). Short film Inhale won Best Short Documentary. 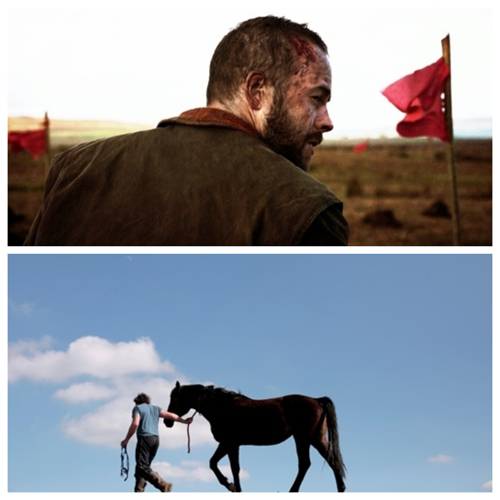 The film, written and directed by Sean Mullan and produced by Chris Martin, follows Jim, a father and husband who tames wild horses as a way to come to terms with losing his wife and daughter. The story is an insight into how one man views his existence and how it translates and relates to the existence of others. Inhale received Lottery funding from the Arts Council of Northern Ireland through Northern Ireland Screen and is part of the Scottish Documentary Institute’s Bridging the Gap programme. For a full list of the nominees please click here.